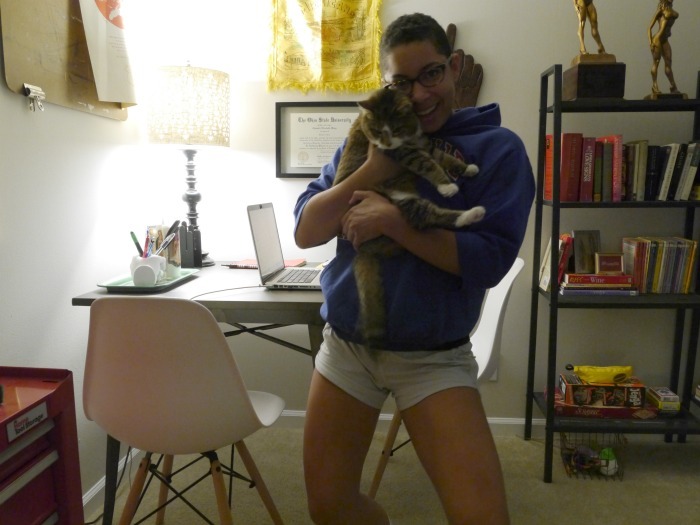 Although it would have been fun to adopt a kitten, I’m glad I made the choice to adopt an older pet and give her another chance at a life full of love (and silly dancing). Nowadays, both myself and my newly-minted cat lady mom are passionate about doing just that — adopting adult cats and giving them great lives. 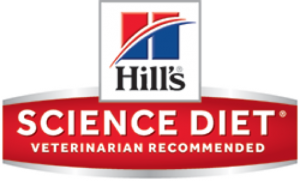 So this month we’re working with Hill’s® Science Diet® to spread the word about Adopt A Senior Pet Month. 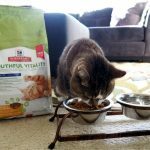 This post is sponsored by Hill’s® Science Diet® and the BlogPaws® Pet Influencer Network™. I am being compensated for helping spread the word about the Adopt A Senior Pet Month and ‘Mission Adoptable’ Campaign, but Eat Move Make only shares information we feel is relevant to our readers. Hill’s Pet Nutrition, Inc. is not responsible for the content of this article. As you probably know, senior pets have a harder time being adopted because most people are looking for the experience of raising a puppy or kitten. But senior pets have just as much love to give, and I’ve never once regretted adopting an older pet. My Mony-bear is my pride and joy. Hill’s, in collaboration with the SPCA of Texas in Dallas, has created a new web series called Mission Adoptable. In each episode of Mission Adoptable, we follow the journey of an older shelter pet who is facing a difficult time getting adopted because of changes in appearance or behavior due to the aging process. I’m happy to say that each pet gets their fairytale ending as well as proper care and nutrition along the way thanks to Hill’s. To watch Mission Adoptable episodes, click here. And make sure to check out the episode about cutie Miss Priss. It made me cry! Mission Adoptable shows that with some extra playtime and attention as well as a nutritious diet, even challenging pets like Miss Priss can make amazing transformations and become more ready for adoption. 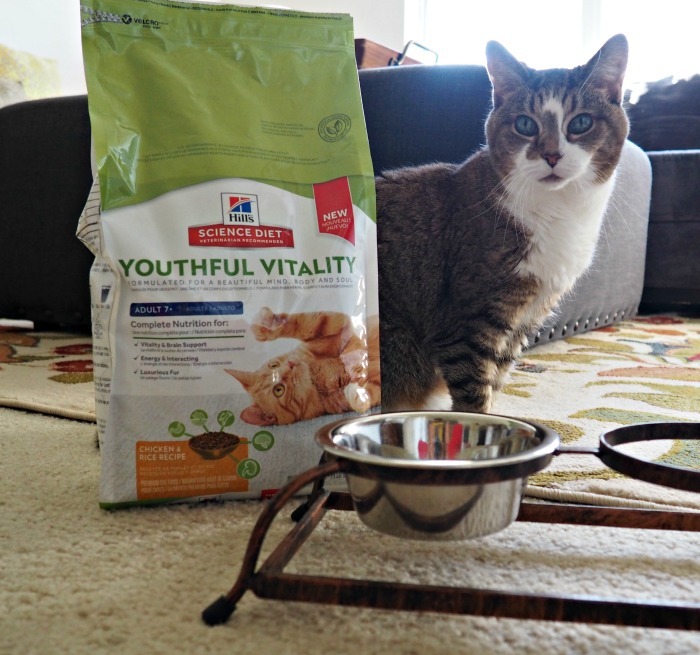 All the pets on the show are fed Hill’s Science Diet Youthful Vitality, which is specially formulated for the needs of an older pet. 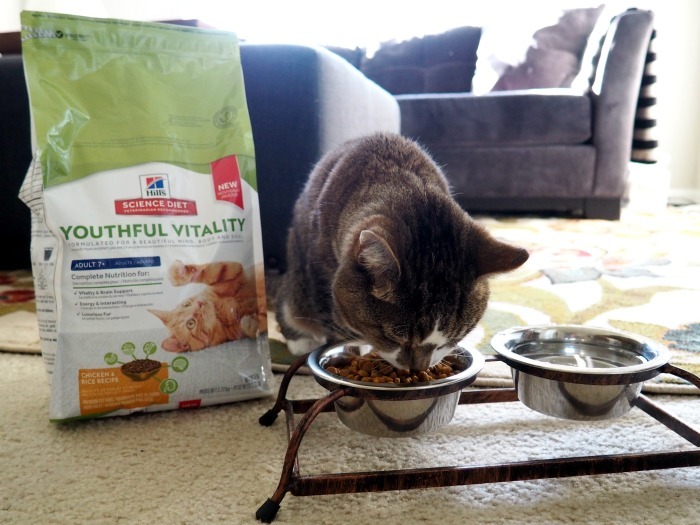 If you have a senior pet like I do or are thinking about adopting an older pet, be sure to visit the Hill’s website to learn more about how their Youthful Vitality line provides complete nutrition that supports good energy and a healthy coat for pets over 7. You can also follow Hill’s on Facebook, Instagram, and Twitter! Happy Adopt a Senior Pet Month from me and Mony! I try to maintain a cool exterior, but on the inside I’m just a sentimental mushy mess, and I think that’s part of the reason why I couldn’t stop watching I’m Having Their Baby last year, and why I’ve been so looking forward to Season two. I’m nervous, I’m hopeful, I’m excited and I’m fully stocked with tissues, because I know I’ll be shedding tears right alongside the birth mothers and their families on the show. 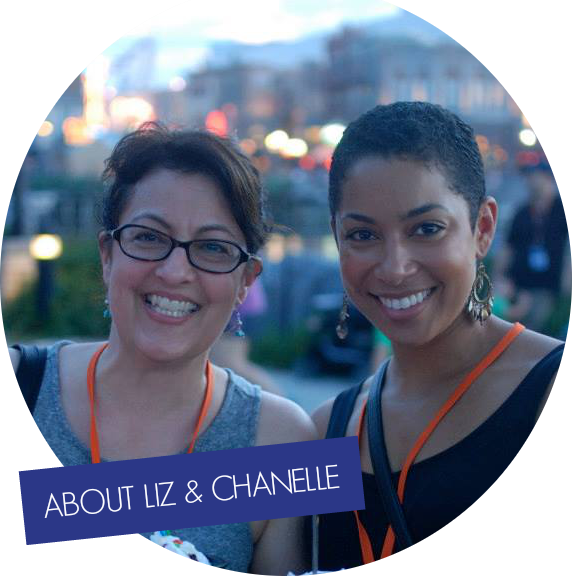 The honesty and raw emotions of these women as they deal with their unplanned pregnancies and the weighty decision of whether adoption is the right thing for them…. oh my goodness, it just tugs on your heartstrings something fierce. Naturally, we’re all going to have different feelings and reactions to what we see on the show, but it’s comforting to see how sensitively and carefully the stories are portrayed by Oxygen. There’s no sense of judgment or hidden agenda. Visit the I’m Having Their Baby show page, and be sure to tune in tonight at 10 pm ET/PT when the new season premieres. And now for the announcement of the $50 gift card giveaway winner. Congratulations Candice! I’ve sent you an email so check your inbox! Did you watch I’m Having Their Baby on Oxygen last year? Season two of the powerful docu-series begins Wednesday, June 12 at 10 PM ET/PT, when we’ll once again be given an intimate look at the stories of birth mothers as they contemplate whether placing their baby for adoption is the right decision. There were six episodes last year, and each one featured 2 pregnant women who had already entered the adoption process when they were approached by Oxygen to be a part of the show. Each of the birth mothers wanted to openly share their honest and personal stories as they struggled with unplanned pregnancies, and I really appreciated that Oxygen showed their stories without judgment or agenda. The women’s stories are emotional and poignant, and this season goes even deeper into their lives and the lives of those who will be affected by their decisions. Watching is sometimes heart-wrenching, sometimes infuriating and sometimes satisfying. Whether we agree or don’t agree with their choices, we can respect the fact that they’re carefully considered and sensitively portrayed in this series. Comment below & let me know what your favorite part of the webisode is! You have the chance to win a $50.00 gift card. I’ll announce the winner on my blog, June 12th. To catch up on the first full season of the show and get a sneak peek of season 2, visit oxygen.com/baby and be sure to tune in when the new season premieres on Wednesday, June 12 at 10 pm ET/PT.